People who are changing careers may be wondering how to become an accountant. Most people know that the main thing that they have to have is math skills. There are other things that you have to have and know before being hired as an accountant. Accountants make sure that financial records are accurate and taxes are filled out correctly and paid on time. They make sure that individuals and businesses stay on top of their financials. Accountants keep an eye on the account books and to make sure there are no errors. They can also provide guidance to individuals and businesses that need help on how to keep their financials afloat. In accounting, there are three main areas you can go into, which are auditing, tax and financial, and management accounting. In the three areas, you will need certain skills in order to be successful. You may have to have more of one skill than the other, depending on which area of accounting you decide to go into. You have to have people, financial, computer, and creative skills. Some other skills you will need are the ability to synthesize, communicate, and be analytical. You also have to be able to work a weekly schedule of 40 to 70 hours a week. As an accountant, you will be working with many individuals and business files. You will have to learn to be discreet. The individuals and businesses that you are helping are depending on you. You should also like mathematics, economics, and business. You will need to have at least a Bachelor’s degree in Accounting or related field. Many employers prefer a Master’s degree in Accounting or Business Administration with a concentration in Accounting. Some community college graduates can work as junior accountants. They may just have to have experience and an education in bookkeeping and other accounting related field. Your school may require you to complete an internship with an accounting firm. You will need to contact your career counselor to let him or her help you to find accounting firms that will be willing to take you on to show you the ropes. Accounting firms can be busy, so they may allow you to come in for training during the summer or to work part-time during the busy seasons. You can also get training through a tax service. Some tax services offer courses for a small fee or even free to people who want to learn how to fill out taxes. 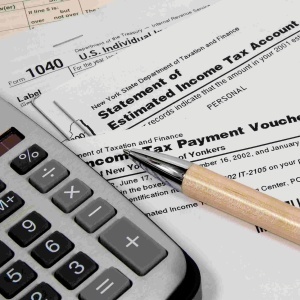 After the course is completed, the students may be hired during the tax season. To work as an accountant, you will have to become certified by passing a national exam and meeting state requirements. The accountant will be certified by their state’s Board of Accountancy. Also, when you are learning how to become an accountant, you should know that as of 2012, 46 states require that candidates of an accounting certificate have 150 semester hours of coursework.